Picking up skills as you go by is one great way of living your life. Starting a project and completing it gives one a sense of accomplishment. Everyone needs to feel like they are capable of doing things on their own when need arise, plus you get to save some good money. The first thing that you want to do is take your square fabric of choice and fold it into four equal square layers. Ensure that all the raw edges are properly aligned; the four layers of your fabric should be smoothed out thoroughly. Incase you are using a printed fabric; make sure that you fold it with the printed side on the inside. Making your own round towels gives you the freedom of coming up with any design you like. Once the layers are well smoothed out, use a pair of scissors to cut off the tips thus forming arcs at the end. When unfolded, you will be left with a big circular fabric. When you cut any threaded fabrics, there are high chances that it might start to unravel. When working on your round towels, you need to keep the fabrics from unraveling. The best way to do that is by stitching the fabric using a serger. To bind the edges of your fabric, you need to coordinate your threading. Pin the fabric on a flat surface and serge all the cut edges of the fabric to keep them intact. 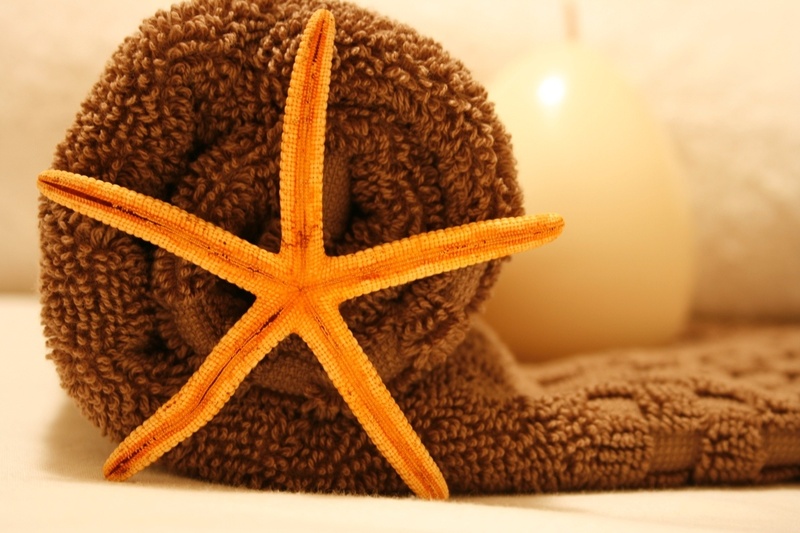 Make sure that all the layers are intact at all times if you want to have a towel that is not tightly pulled. Using your sewing machine, secure the trim all around the fabric using a straight and two and a half inch stitch length. When sewing your round towels fabrics together, you need to sew vertically. This will keep the several layers from flapping all the time as you carry or sit on your towel. Once you are done sewing everything together, you need to trim off any unwanted parts and you towel will be ready. If you are really good at sweing, you could even come up with a pattern to make the towel as unique as you possibly can. You can make yours as different from other round towels as you’d like. When working with a white cloth, you can always use some dye to spice it up should you be interested. With such a unique and priceless towel, you need to keep an eye on it while you are out in ocean swimming.